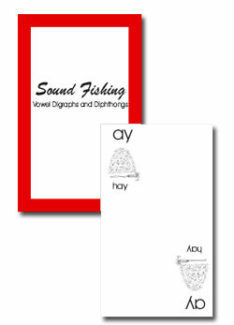 Sound symbol relationships at the vowel digraphs (two vowels with one sound) and diphthong (two vowels with a special sound) level. 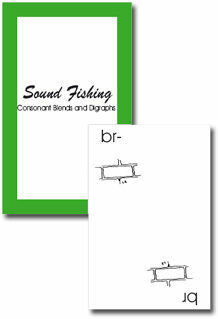 Sound Fishing is designed to reinforce the sound/symbol relationships. Each player tries to match a card in his/her hand by requesting it from his/her opponent(s) by letter name, key word and corresponding sound. Sound symbol relationships at the single consonant level. Sound symbol relationships at the blends (single consonant sounds blended together) and consonant digraphs (two consonants with one sound) level.